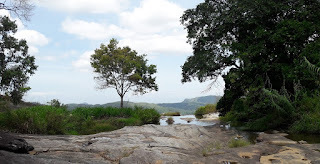 This photo was taken, while we walking towards the edge of Diyaluma Waterfall. A breathtaking view of Koslanda can be seen from the edge of the waterfall. Btw I'm back in blogging as well.